When it comes to the world of chronograph watches, few brands are as historically significant as Angelus. 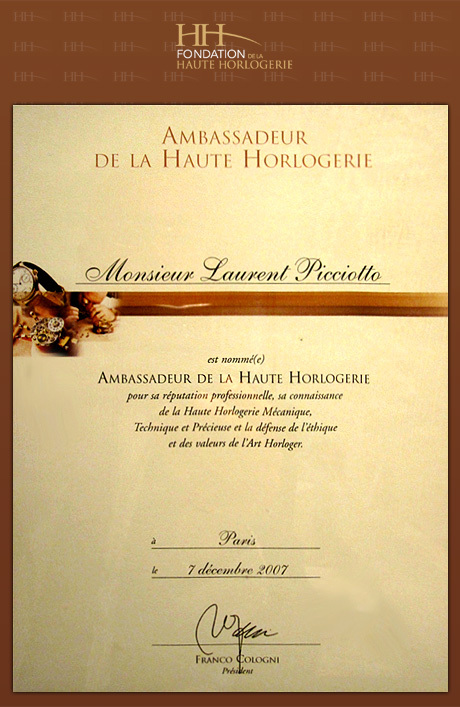 Founded by the Stolz brothers at the end of the 19th century, the brand was reputed for its in-house developed and manufactured timepieces, namely its chronographs. And beyond pocket watches wristwatches, Angelus was also known for its instrumental table and travel clocks. Perhaps the most iconic of Angelus’ 20th-century chronographs is the Chronodato, which was the first chronograph wristwatch to feature a complete calendar. Now highly sought-after by collectors, the Angelus Chronodato in gold or steel and other vintage Angelus watches have considerably appreciated in value over the past few years. Today, the Angelus brand has taken a contemporary approach to reimagine watch movements and complications, including the chronograph. Brought back to life in 2011 with the full support of the La Joux-Perret manufacture behind it, Angelus is at the forefront of cutting-edge watchmaking. In 2015, Angelus made quite a bang in the watch world when it unveiled its first timepiece of the 21st century, the U10 Tourbillon Lumière. Housed in a lozenge-shaped stainless steel case, the U10 is truly unlike anything else out there. With some retro design influences – and not necessarily just from watchmaking – the U10 features a segmented display of functions and components. On one side is a smoked glass dial, where a large central dead beat seconds hand jumps every second above the hour and minute hands. 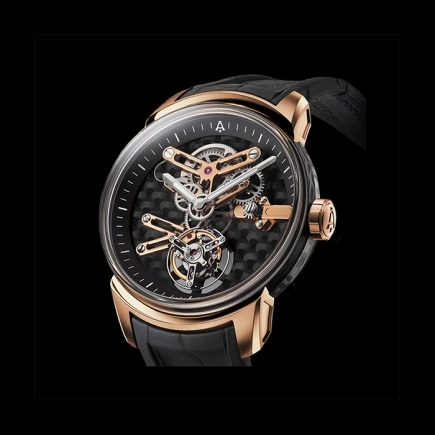 Next to it, in its own sapphire glass “box” and seemingly detached from the rest of the watch and movement, the oversized flying tourbillon revolves against a black backdrop. Even the sides of the case are put to good use, including a linear power reserve indication visible through a sapphire crystal on the side of the case, perfect for a manual wind watch. After that, Angelus explored two different avenues for its next few releases. 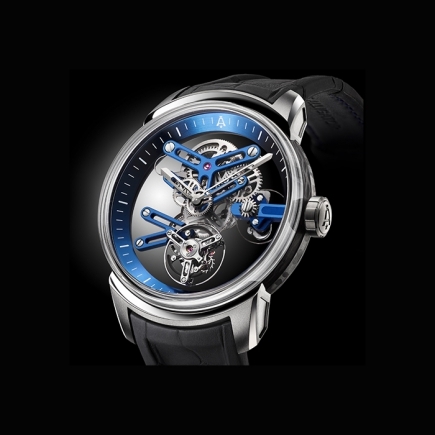 The U20 Ultra Skeleton Tourbillon brought about a new generation of avant-garde skeleton watches from Angelus, which play with different materials and movement constructions to create artful yet robust open-worked watches of the 21st century, using materials like sapphire crystal for the baseplate, titanium for the bridges and carbon fiber for the case of the futuristic manual wind tourbillon. 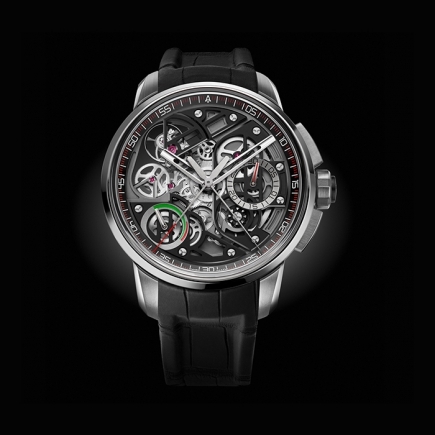 In a similar vein, the U40 Racing Tourbillon Skeleton was introduced, with an unusual movement construction that foregoes the traditional base plate and bridges construction and instead, has the gears with exclusive Angelus spoke design sandwiched between two skeleton plates for maximum rigidity. 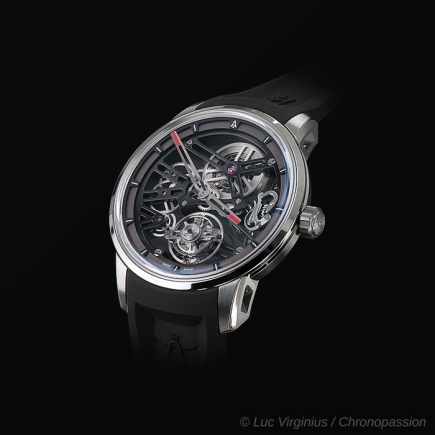 Angelus did what it historically did with the U30 Tourbillon Rattrapante, the brand’s first chronograph of this century. Featuring automatic winding, a split second chronograph with flyback function and dial-side tourbillon, the U30 Tourbillon Rattrapante demonstrated what Angelus is capable of today, and further solidified its position as the maker of exceptional chronographs of the new era. Its black treated movement and brightly accentuated hands and chronograph register make it a spectacular chronograph wristwatch unlike any other on the market. Most recently, Angelus took to the seas with the brand’s first dive watch, the U50 Diver Tourbillon. Foregoing the conventional design of dive watches, Angelus opted for a skeleton movement with bright markers and hands in blue and yellow. This makes the Angelus U50 diver just as compelling above sea-level as below it, providing a micro-mechanical spectacle while remaining highly legible, as a diver watch should be. 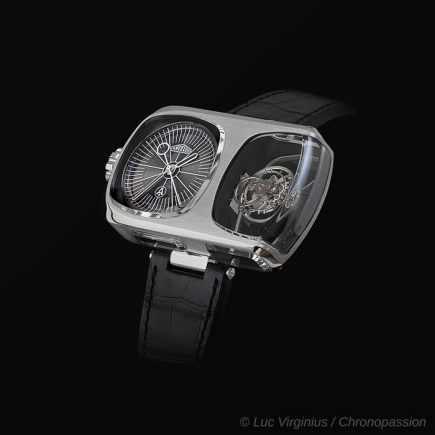 Chronopassion is an AUTHORIZED RETAILER of ANGELUS since 2015, the date of the brand's rebirth.